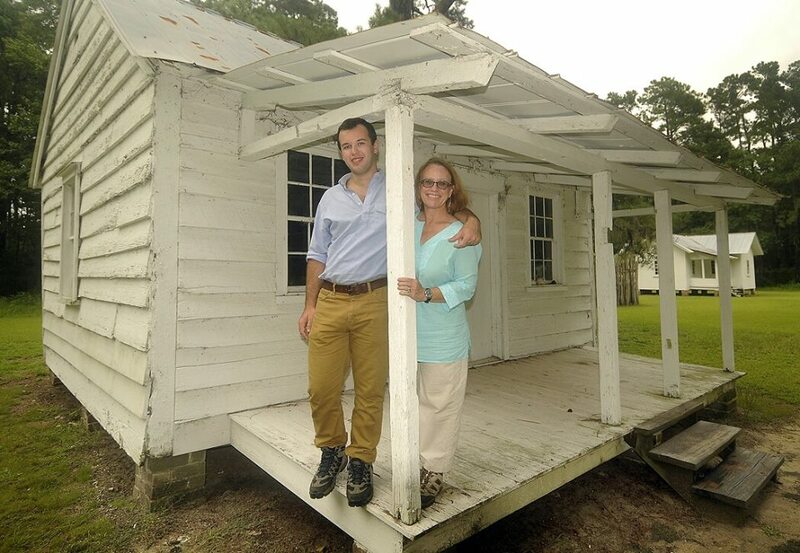 Lee Brockington and her son, Brock Shehan, on the front porch of an 1850 slave dwelling at Friendfield Village, one of four African American villages at Hobcaw Barony. African American families lived in the cabin until 1950. Permission to use this photo, taken in August 2014, was granted by Lee Brockington. In this episode of the Between the Waters podcast, we speak with Lee Brockington, Senior Interpreter of History and Culture at Hobcaw Barony and author of Plantation Between the Waters. Join us as she shares her professional journey, vision for historical interpretation of the property; and initial impressions of our project.